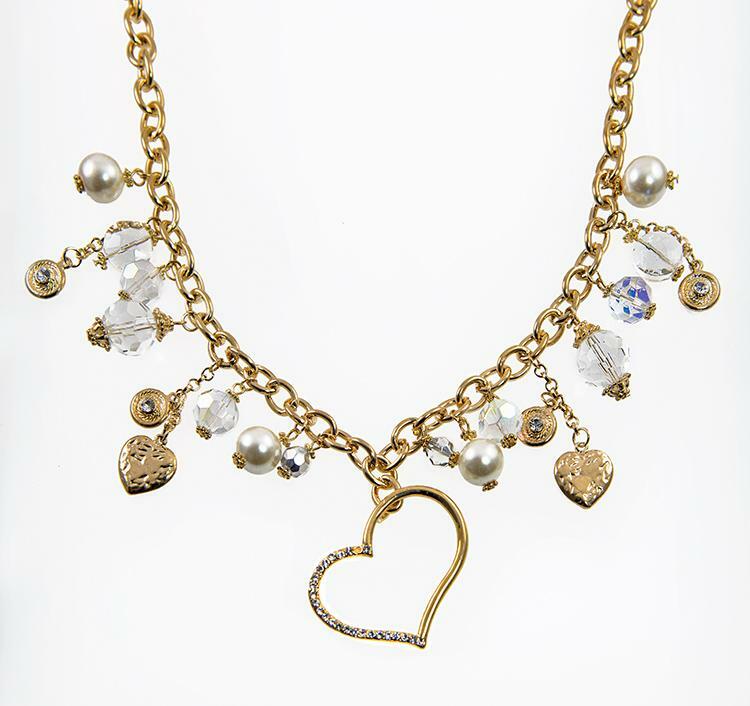 This wonderful collection of charms and stones is accented by a center large open heart, accented with Austrian Crystal and comes with matching pierced earrings. Approximately 17-18 inches long. Limited quantities. 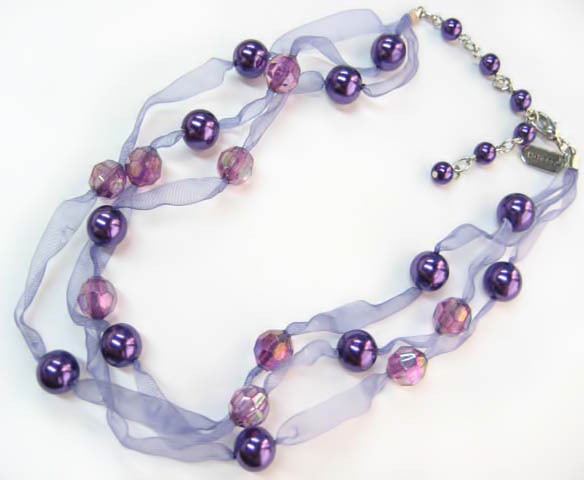 Stunning multi strand pastel pearl necklace. 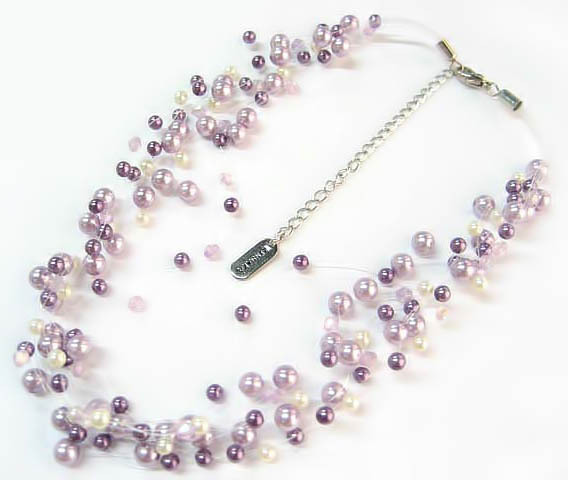 Easch strand is accented with delicate pearls. Necklace is 16 inches with a 2 inch extender. 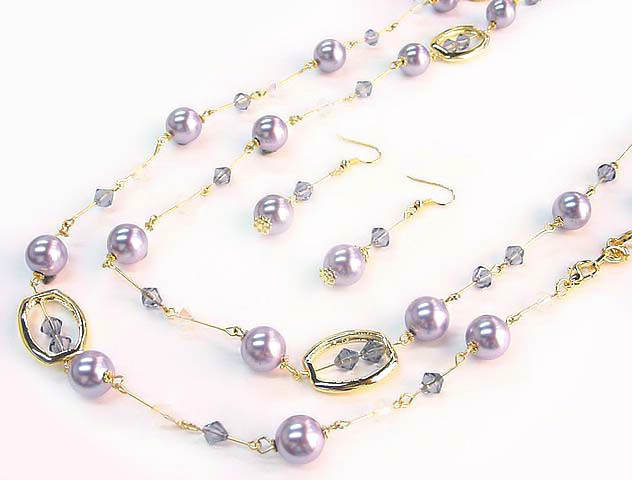 This lovely necklace comes with matching pierced earrings.